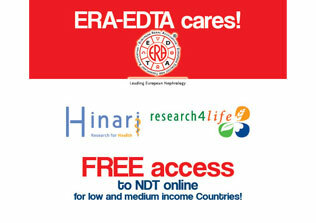 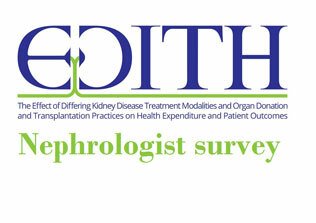 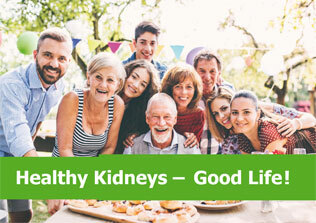 The need of continuous up-dating for Doctors working in the fields of Nephrology, Dialysis and Transplantation is one of the missions of ERA-EDTA. 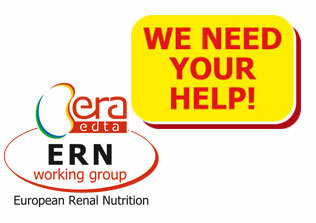 The series of Courses disseminated in several Western and Eastern EU Countries, as well as Countries bordering the Mediterranean Sea is an extremely useful and successful initiative! 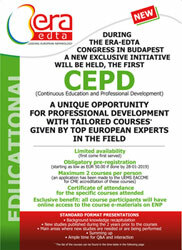 An outstanding CME day will be held the first day of the annual ERA-EDTA Congress (June 13, 2019), with 13 Courses offering the best of what is available, from an educational point of view, to our delegates (a special registration is required). 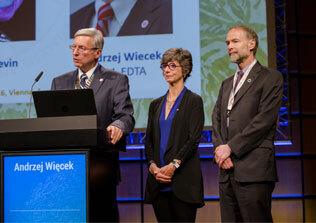 Starting from 2019 ERA-EDTA has decided to create a special Scientific and Educational Interaction Day to encourage ERA-EDTA working groups to develop joint project proposals by forming alliances, fostering international collaborations and integrating different (sub-)specialties. 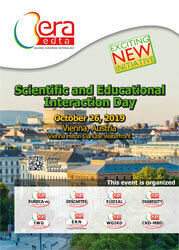 The first SEID will be held in Vienna, Austria on October 25-26, 2019.